One of Cardrona’s pioneer women is now being remembered in high places. 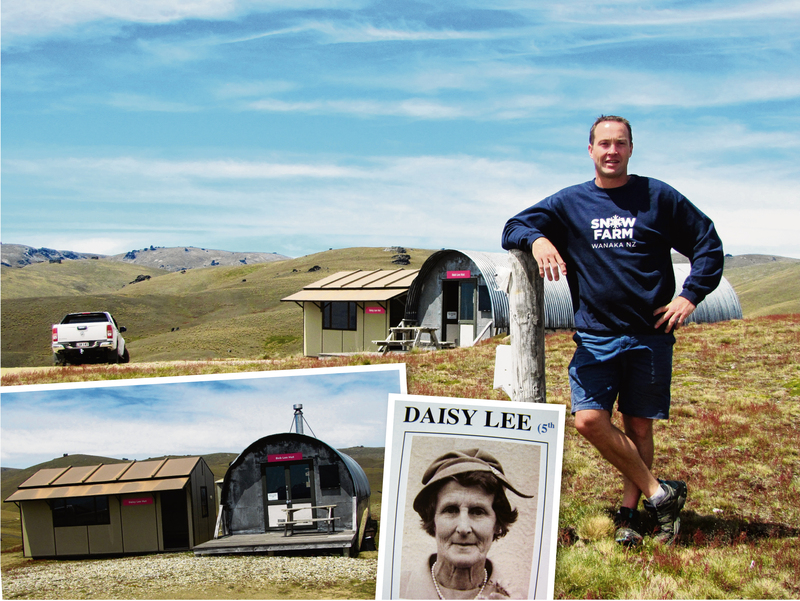 The name Daisy Lee has been placed over the front door of a hut high on the Pisa Range, right next to the Bob Lee hut. Daisy and Bob were the first farmers on Waiorau Station where the non-profit cross-country skifield Snow Farm is now operated by the Pisa Alpine Charitable Trust. The Snow Farm was founded in 1989 by Daisy and Bob’s son John and his wife Mary, and is managed by grandson Sam. Daisy came to the Cardrona Valley from Flag Swamp, north of Dunedin, and endured many cold winters while bringing up a family of five boys. Hardy visitors on skis and snowshoes have also endured cold nights when staying in the Daisy Lee hut — formerly known as the Bob Lee annexe — but by next winter Sam Lee plans to have had a fire and other new facilities installed. Mr Lee said other improvements at the Snow Farm were also in the pipeline, but declined to reveal what they were. While the Snow Farm’s focus is on winter sports, it is open over summer to walkers, mountain bikers and even dogs, with their owners.